Shorter days, longer nights, and freezing cold breeze everywhere – these are just a few signs that the wintry season is finally here. Hot beverages and saunas are selling like crazy. You notice people wearing coats, scarves, boots, caps, and gloves to beat the cold too. But humans aren’t the only ones getting warmed up during the cold season – even houses are getting dressed up for the winter too. 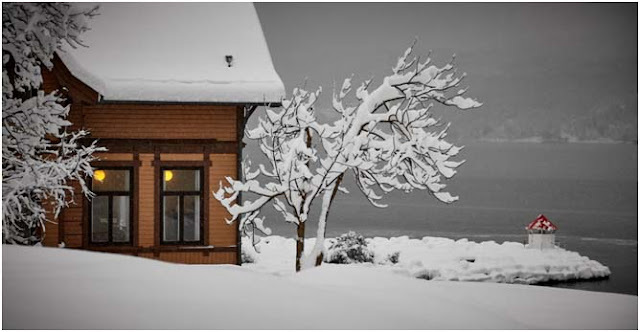 Homes are adorned with furnishings and accessories that will bring more sense of intimacy and warmth as the snow and ice-cold winds take over. 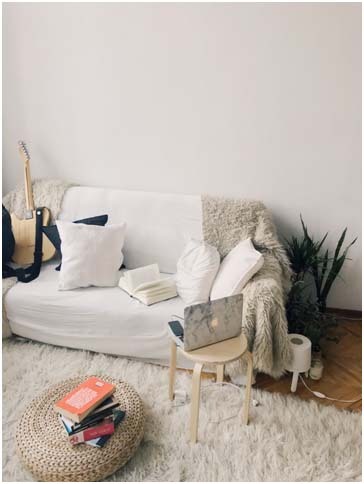 Next to paying attention to your home’s insulation, here are some quick, easy, and budget-friendly ways to create a warmer and cozier home that’s perfect for the frigid months. 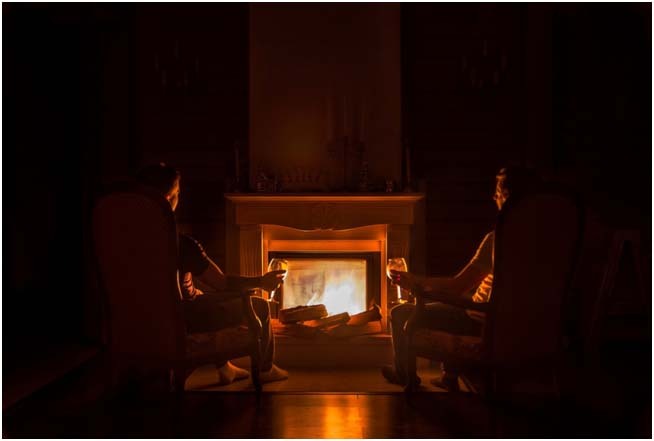 Getting a fire going can spontaneously convert a freezing night into a warm and intimate setting, and households with fireplaces are privileged to have this remarkable experience. Before you turn up the heat and increase your heating costs, consider moving furniture. Take advantage of the heat by placing your dining table or living room couch near your fireplace for a more intimate social gathering. Don't own a fireplace? Not looking forward to expensive heating bills? You can still bring a charming warm glow in your home with the use of candle lights. Fill your cold and dark rooms with a variety of candles from antique candelabras and lanterns to modern, boutique candles and tea lights. If you have little kids who tend to run around the house, you may go for electronic candles or other warm light fixtures and lanterns that help warm up your chilly household. Unless you're wearing your favorite socks, walking and standing on chilly floors with bare feet can be uncomfortable. Adding thick and lush rugs can help warm your feet up during the cold season. Any textile would beat the chill but if you want a cozier experience, go for wool, faux fur, and velvet fabrics. Aside from your living room and bedroom, you should place a small rug in your bathroom as well. Use a flat weave rug that comes in a variety of colors and prints. Covering up your cold tiles with a warm and comfy rug will make your dark morning showers less daunting. Winter is a wonderful time to stay inside and pamper yourself with soft and cozy textiles and textures. Dress up your couch with winter outfit using warm blankets. Sheepskin, wool, velvet, fleece, and polyester are your go-to materials for a cozier doze. Have a throw blanket-draped look at the back of your sofa while you snuggle up with your warm cup of coffee, chocolate, or tea. Then don't resist the urge of layering fabrics for added warmth and stuffing your couch with more throw pillows covered in soft fabrics. The classic idea of going for thick drapery and curtains for the chilly season still works. Outdated window panes allow heat to escape through the glass, allowing the cold room to feel even colder. The world behind your foggy windowpane seems a little dull, dark and frozen, but it doesn't mean your home should be likewise. A simple paint job is one of the best ways to prepare for the season. Bring the warm and comforting colors into your home by painting your walls with warm and fire-inspired tones such as orange, gold, yellow, and warm neutrals. Can’t commit? Using peel and stick wallpapers can be the best way to go. If you don’t want to paint your home or even stick wallpapers, there are other easier alternatives. You may display home accessories with warm colors, like orange throws and wooden tables, can help beat the cold. 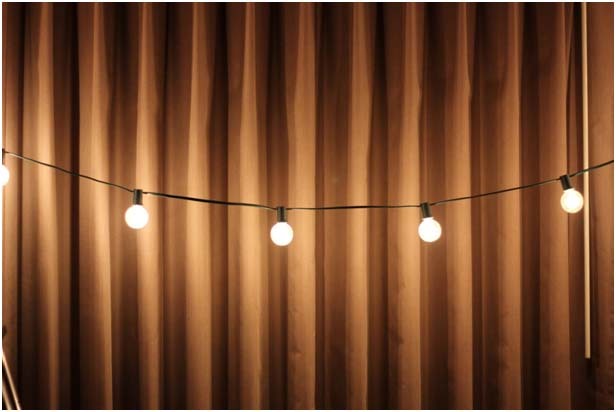 You can even switch to lighting fixtures with a warmer glow to break the stark and cold setting. When the sky is gray and the trees are leafless and bare, wouldn’t it be nice to have signs of life inside your home? Whether you’re living in a high-rise flat in the city or a classic kit home in the countryside, bringing the nature in helps balance out the seasonal changes outside. Place fresh indoor plants. 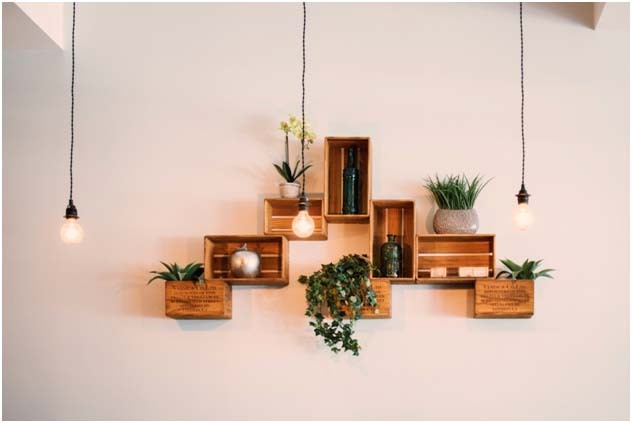 Fill your home with wooden elements. Adorn your home with furniture pieces and accessories with organic green hues and earthy colors. The chilly weather makes us miss our grandparents’ humble and comforting country style kit homes in the countryside. They used to stock thick blankets and socks and cook hot and hearty meals for us during our visits. You can recreate the homey feel in your own abode. Fill a trunk or basket with a supply of throw blankets and keep them handy in areas where you are likely to lounge, like your living room, reading nook, or dining room. Have the books, game boards, and other forms of entertainment prepared while it's snowing outside. Invest in coffee and tea bar cart you can effortlessly access while slacking off on your couch or bed. Author Bio: Carmina Natividad is a daytime writer for PAAL KitHomes, a renowned construction company that specializes in manufacturing and supplying top-quality steel-framed kit homes in Australia. She loves writing articles focused in real estate and interior design.